If you have a huge CD collection from pre-digital days, you may have decided to convert it all to MP3 format for listening on the computer or on the go, via your phone. But the CD ripping software may have not found all of the correct track names and album art, so you may have ended up with files full of "unknowntrack1.mp3", "unknowntrack2.mp3", and so on. This looks messy, and how on Earth can you find a particular song if it's not named properly? Songs without metadata or album art are absolutely impossible to index and find. Listening to the song and then renaming it by hand is a long, slow, and very tedious process. That is why it is worth investing $50 to buy TuneUp. TuneUp has a huge extensive database of music, and by listening to your tracks, it can identify the track, rename it for you, provide album art, and even fix the metadata, including inserting the music genre and track numbers for you. 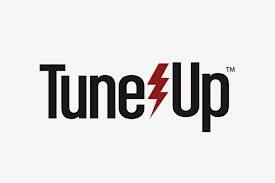 What's more, TuneUp's success rate is startlingly high. It does not recognize every song, but it seriously impressed me by finding all of my Scottish bagpipe music and standup comedy tracks. So it isn't all Justin Bieber and Britney Spears. It has a lot of obscure stuff tucked away too. After installation, start up either iTunes or Windows Media Player, and TuneUp will automatically start at the same time in its own window. When you have some files you want renamed, use your mouse to drag the songs into the TuneUp window and it will begin scanning them. When it finds possible matches, it will display them for you to see. This is one of the most important things to emphasize here: TuneUp does NOT change anything unless you tell it to. And if you tell it to change something and realize you've messed up, there's an "undo" button to put everything back the way it was. Drag the music files into the TuneUp interface, and they will be scanned by TuneUp's extensive music database. Suggestions will then be made and you have to approve or decline it. After scanning, it will divide results up into three separate categories: Matches, Likely Matches, and Not Found (all pretty self-explanatory). With Likely Matches, it is fairly certain it is correct but not 100% certain. So you would need to take a look and see before making any changes to your music files. If there are multiple results, you will want to individually click the checkmark for the ones you want. Or if you can see that everything is correct, just click the "save all" button for everything to start. If you want to review the album art before anything gets changed, you can mouse over the proposed album art and click on the downwards facing arrow. That will open up a selection of what is on offer and you can choose which one you prefer. When you have chosen the correct album names, artwork, song names and so forth, watch as the files are magically renamed and reformatted right in front of your eyes. TuneUp does the work that would take you at least double the time if you were to do it manually by hand, and does it in ten seconds or less. I am still amazed about the technology, weeks after I first started using it.